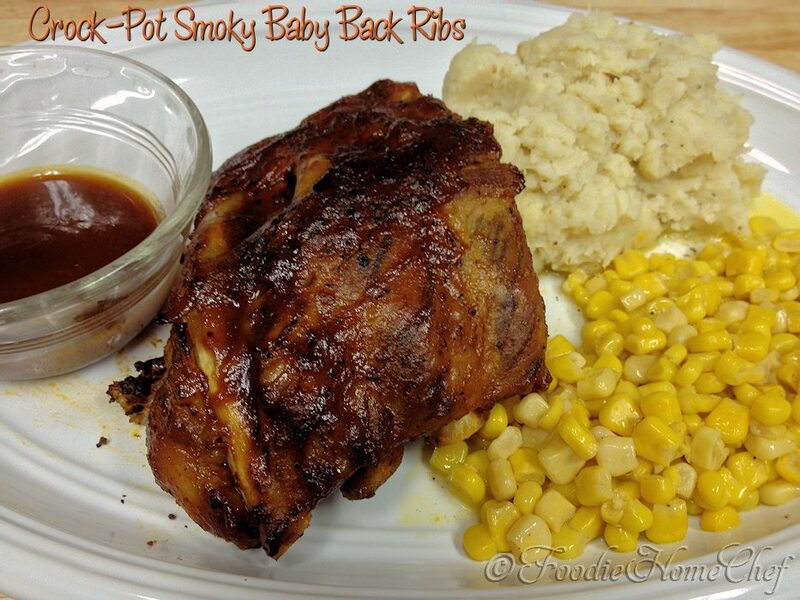 There's nothing like baby back ribs with the meat falling off the bones. I love this recipe because not only is it incredibly delicious, but it's so easy! In the summertime I like to cook ribs outdoors in my smoker grill & serve them with grilled corn on the cob, potato salad & coleslaw. 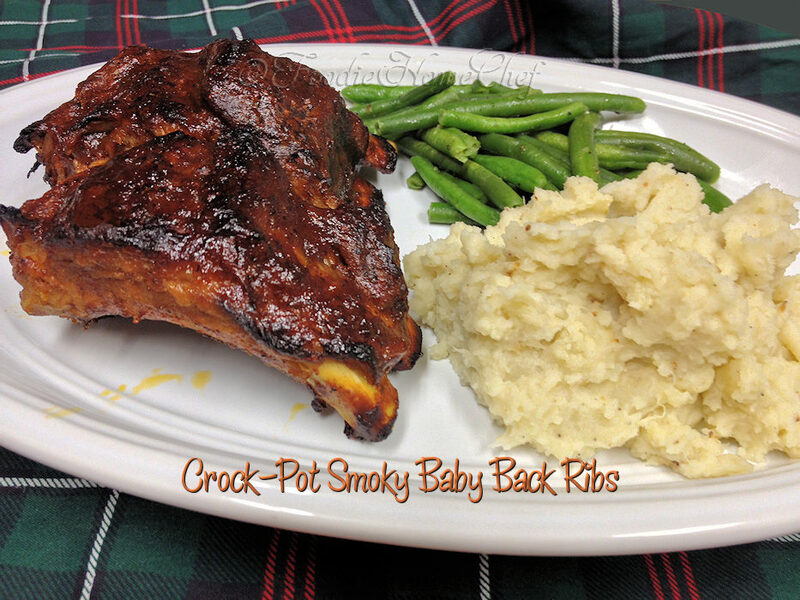 In the winter, I sometimes have cravings for ribs & this is the recipe I turn to. Serve it with mashed potatoes or fries & a vegetable or side salad & you have yourself a real comfort meal. Once you try it, I just know you'll be making it over & over again. 1 In a small bowl; mix salt, pepper & paprika. Slice up onion. 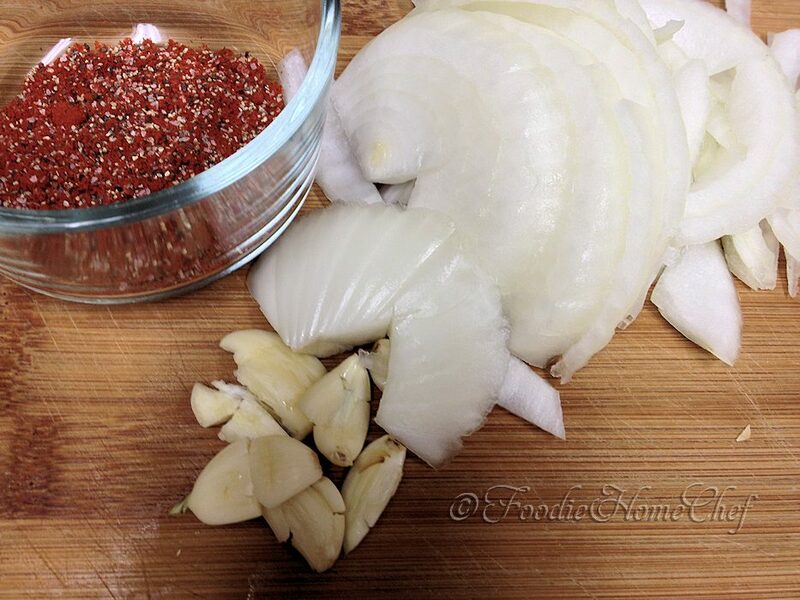 Smash each garlic clove with the side of a knife & remove peel. 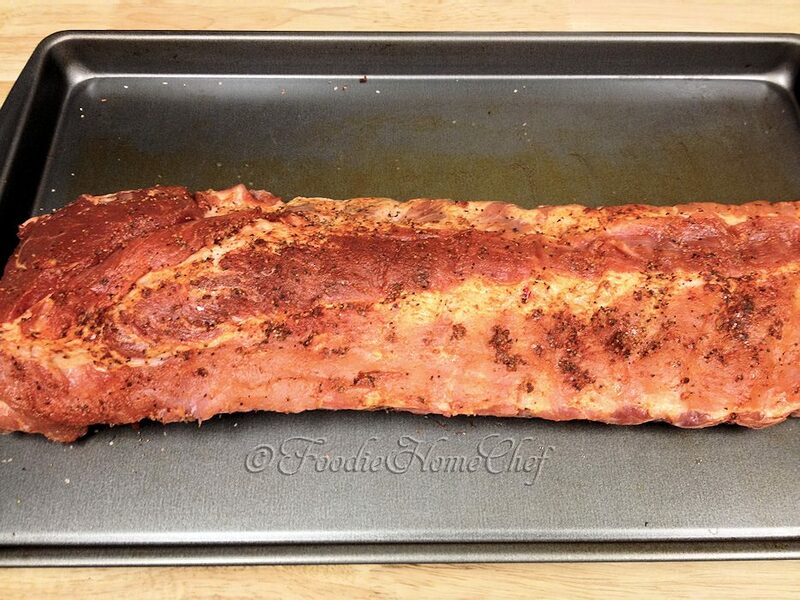 2 Place rib rack on a large baking sheet or platter. Starting at one end, peel off entire membrane from bone side of ribs. 3 Rub spice mixture all over ribs on both sides. 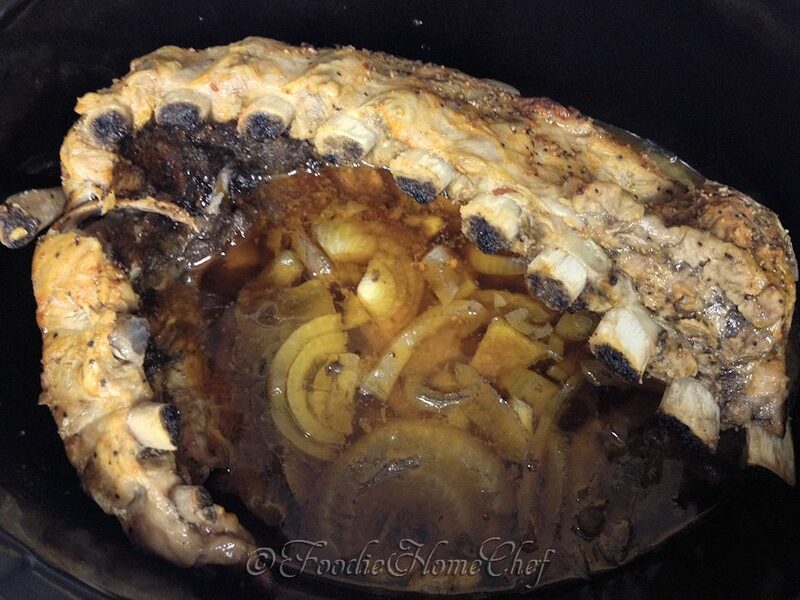 4 Using a paper towel; rub a little vegetable oil all over the inside of a 7 quart Crock-Pot. 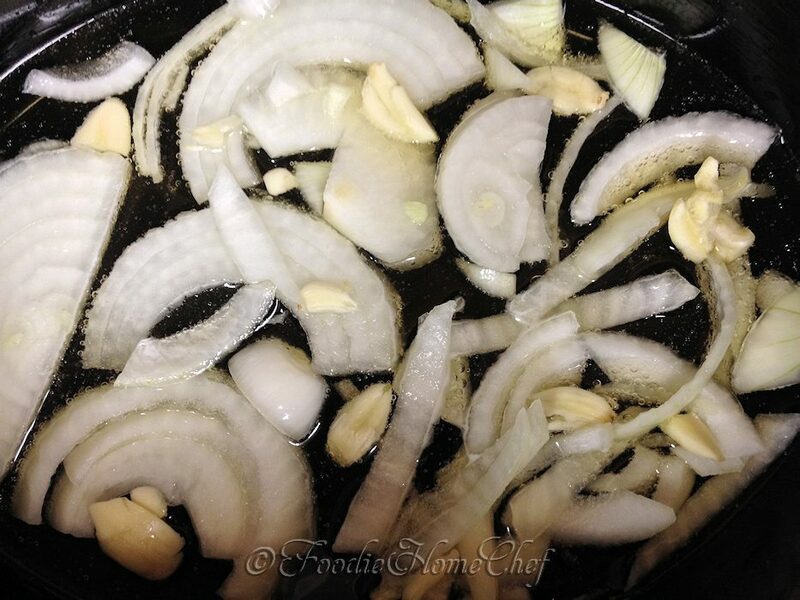 Arrange onion & garlic evenly in bottom. Pour 1/2 the bottle of beer over onion & garlic. Drink or toss the rest. 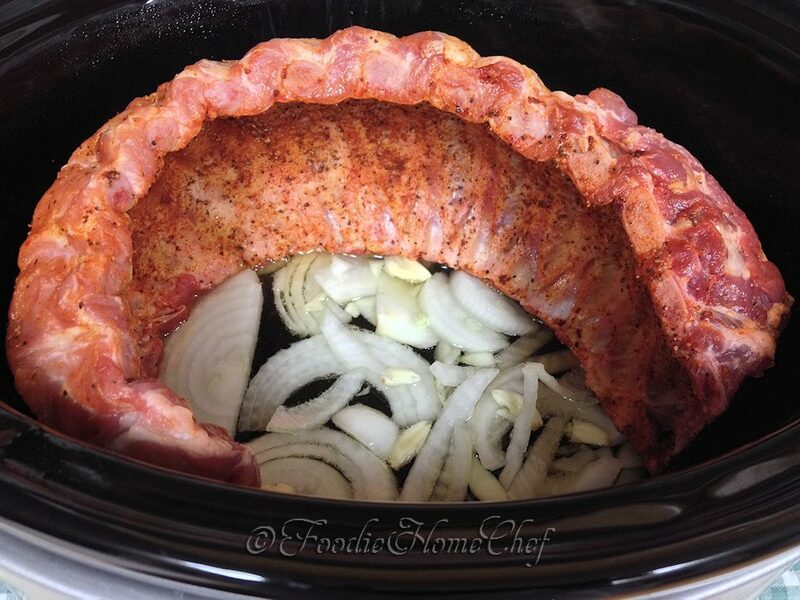 5 Arrange rib rack in Crock-Pot, thick side down, forming 3/4 of a circle. Cover & cook on high for 4 to 4 1/2 hours (see Tip# 1). 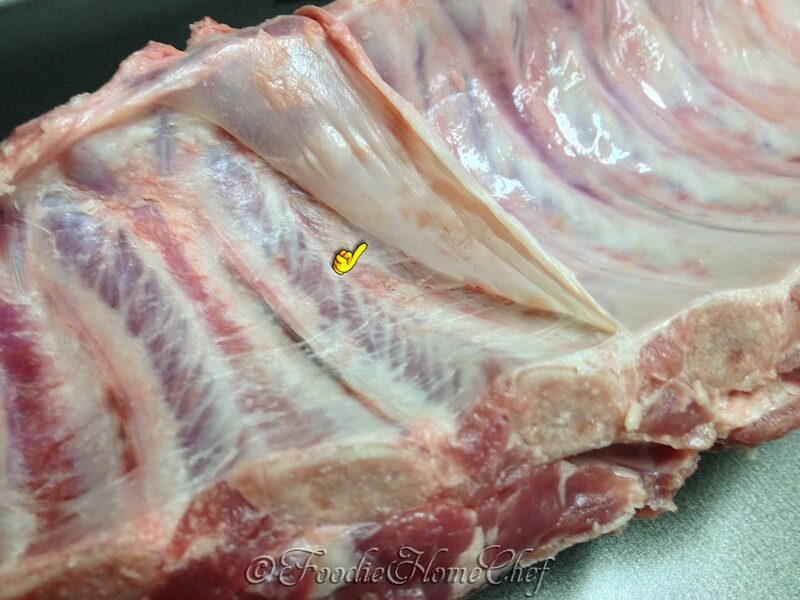 6 When ribs are done, the meat should be starting to come away from the bone & be tender when tested with a fork. 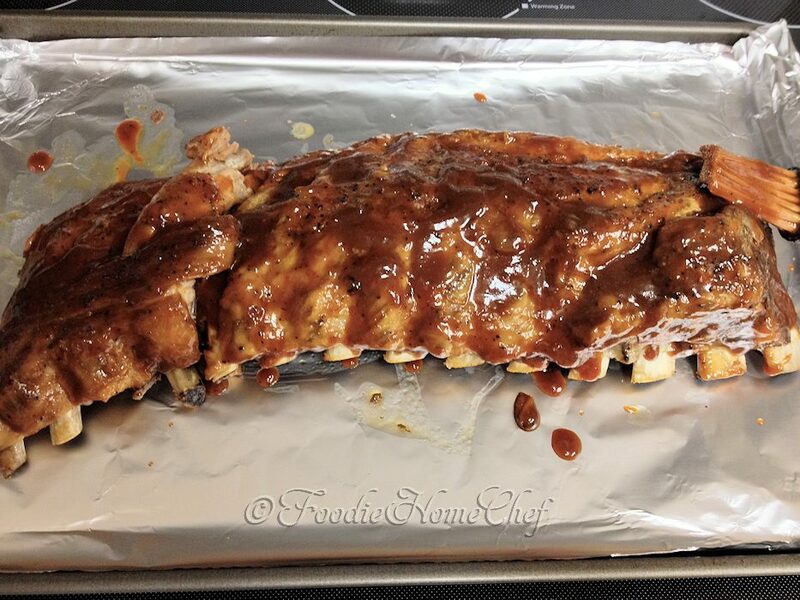 Remove rib rack (leaving behind all solids & liquid) to a large foil-lined baking sheet. Discard everything remaining in the Crock-Pot, when cooled. 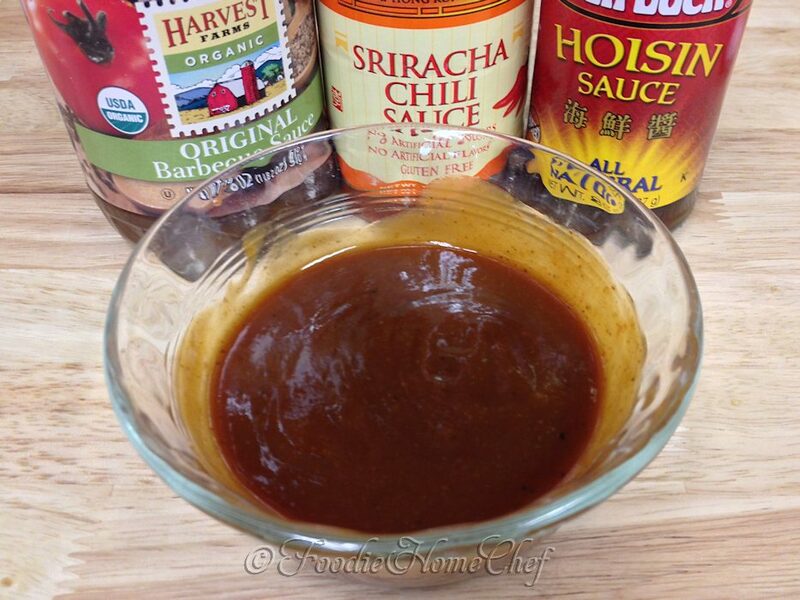 7 In a small bowl; mix BBQ, hoisin & Sriracha sauces. 8 Brush mixture all over the top of the rib rack till it's all used up. 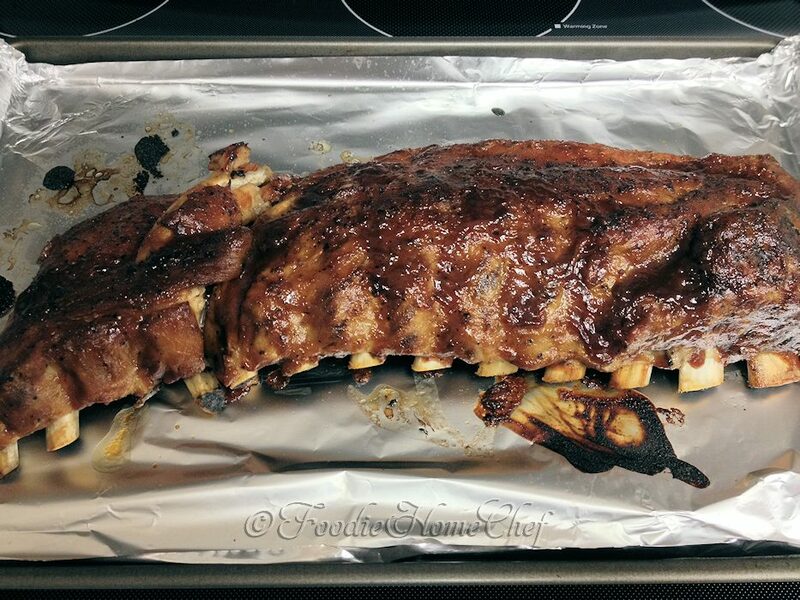 9 Broil ribs on middle oven rack, about 5 to 6 minutes, till sauce bubbling & just starting to brown. Keep your eye on them to be sure they don't burn. 10 Cut into 3 to 4 sections & serve with a little BBQ sauce on the side. 1 Cooking times will vary, as not all Crock-Pots/slow cookers are created equal. If you've used your slow cooker a number of times, you'll probably know whether it cooks faster or slower than the average. So, the first time you cook this recipe, keep your eye on it & adjust the time accordingly. I’m glad to hear that Lonnie, I know you’ll love the Crock-Pot… it’s a handy piece of kitchen equipment. Be sure to get a 7 quart, oval one. That way it will be big enough for a rack of ribs & many other recipes.